As a pioneer of Italian food in Singapore, Pasta Fresca Da Salvatore was set up 28 years ago and continues to have a strong customer base and 3 outlets throughout Singapore (Boat Quay, Siglap and Bukit Timah). Recently, all 3 outlets were renovated and the restaurants’ menus also boast several new creations and current specials. We had the pleasure of meeting the restaurant’s chef and our biggest takeaway from our conversation with him was his emphasis on the experimental nature of Pasta Fresca’s italian offerings. 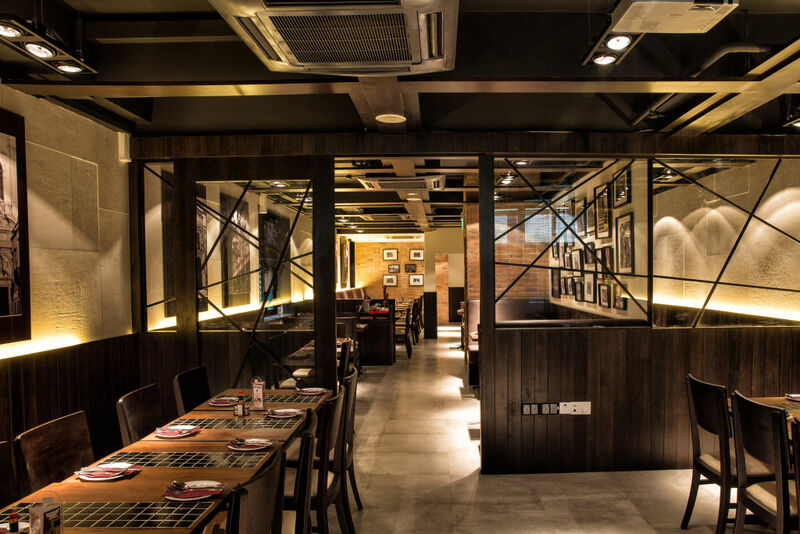 Instead of sticking to extremely traditional Italian flavours, the chefs at Pasta Fresca aim to provide an alternative Italian experience that is rooted in tradition but also explores a more diverse range of flavours and variations of pasta. Popspoken was fortunate enough to try some of Pasta Fresca’s dishes at their Boat Quay outlet and there were definitely a few stand out dishes that impressed us. 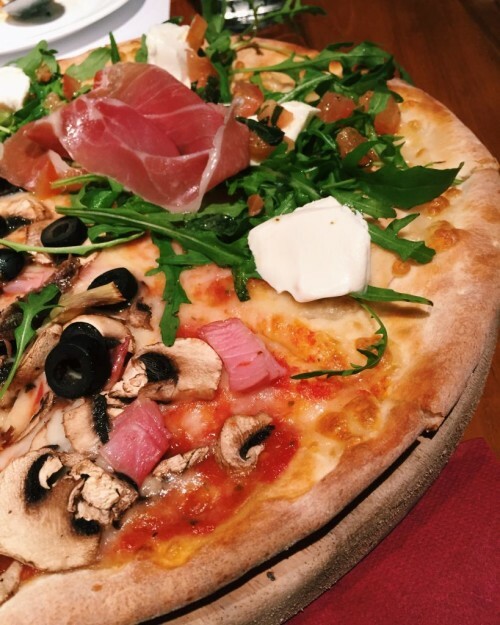 The menu is extensive with options for both pizza and pasta lovers at reasonably affordable restaurant prices, so we highly recommend you to indulge in the restaurants’ Italian experience soon. 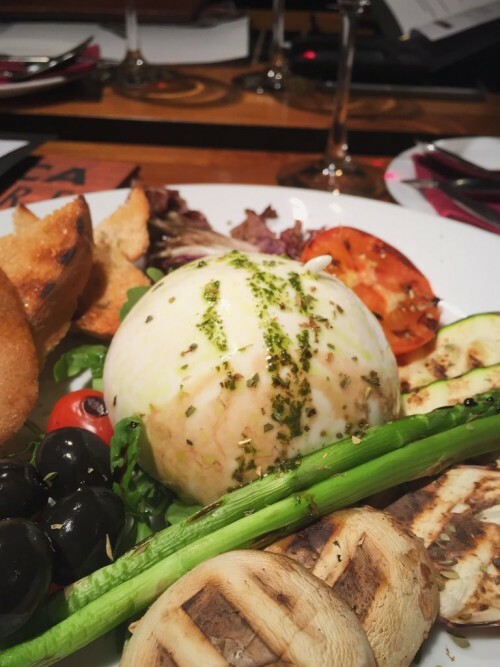 To start, we had a traditional Burrata Contadina ($20.50), a thin-skinned cheese that holds an extremely creamy and smooth centre. The cheese was served with an assortment of grilled vegetables, a drizzle of basil oil and grilled rosemary oil bread. Many a time at Italian restaurants, the cheese is the star of the dish while the vegetables or salad pale in comparison. We were pleasantly surprised at how rich the cheese was but also by how flavourful all the accompanying vegetables were too. We were also treated to a Melanzane Alla Parmigiana ($14.80) that features several layers of baked eggplant with mozzarella and a flavourful tomato sauce. This is a great and lighter alternative to a usual beef lasagna. One of the dishes that was tasty but not one of our favourites was the Crespelle Al Funghi ($20.40). 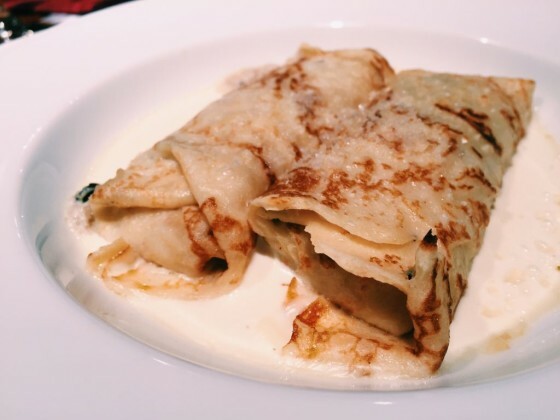 It showcases two baked Italian crepes filled with a hearty amount of mushrooms, onions and parmesan and can be paired with either a tomato or cream based sauce. For $20.40, it struck us as slightly pricey. That being said, the cream sauce was light and the crepes were cooked thinly and crisply. The next dish, Mare E Monti ($21.70) was probably our top choice for the night. We will definitely come back to Pasta Fresca to order this seafood and white wine based pasta. It is served with an extremely generous portion of fresh crabmeat and mushrooms. The sauce was packed with flavour and is definitely value for your money. The current Pasta Fresca special is the Ravioli di Burrata E Tartufo Nero. 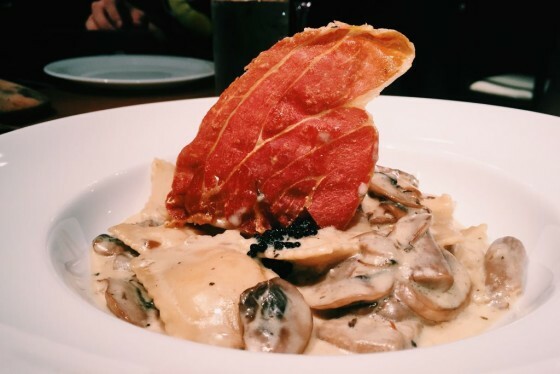 The ravioli is homemade and filled with creamy burrata cheese and black truffle. This fresh pasta is cooked with a relatively light and creamy porcini mushroom sauce and it is accompanied with crispy parma ham and delectable truffles caviar. The restaurant also displayed its impressive cooking ability with its meat items. 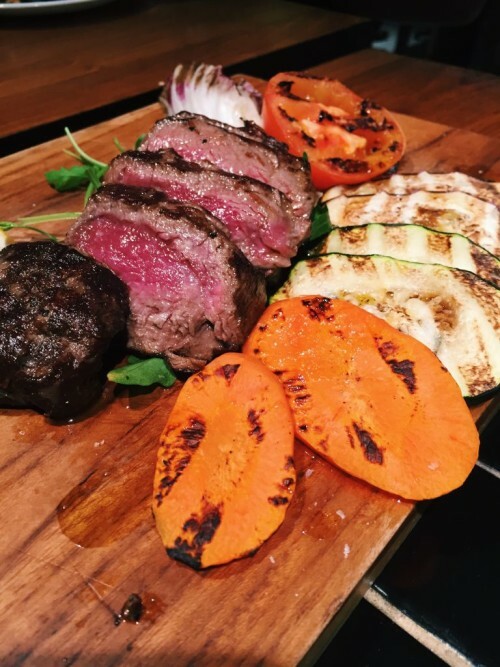 The Tagliata Di Manzo Con Rucola Al Rosmarino ($36.90) featured sliced beef tenderloin served alongside grilled vegetables. The portion is smaller than desired but if you’re looking for beef that is cooked with a beautifully pink center, you should try this. If you’re not feeling like having meats or pasta, the restaurant also prepares a variety of pizzas. One that we liked was the Pizza Capricciosa. It is full of toppings like pork salami, ham, mushrooms, anchovies and black olives. Our meal finished on a sweet note with two desserts – Tiramisu and Panna Cotta. The panna cotta made more of an impression on us because of its pleasantly surprising tart flavour and its silky and smooth consistency. The tiramisu was tasty but nothing in particular to shout about, so go for the panna cotta! All in all, Pasta Fresca definitely served us some dishes with a mix of flavours that we did not expect but certainly enjoyed! To find out more about Pasta Fresca, you can visit their Facebook page or their website.